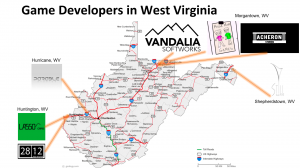 West Virginia has a small number of game developers working within the state. Through my research and networking at the West Virginia Game Developers Expo, these are all the companies I have found. Check out this post for more info about us! This post includes our Frequently Asked Questions (FAQs). Fill out the form below for our latest news.